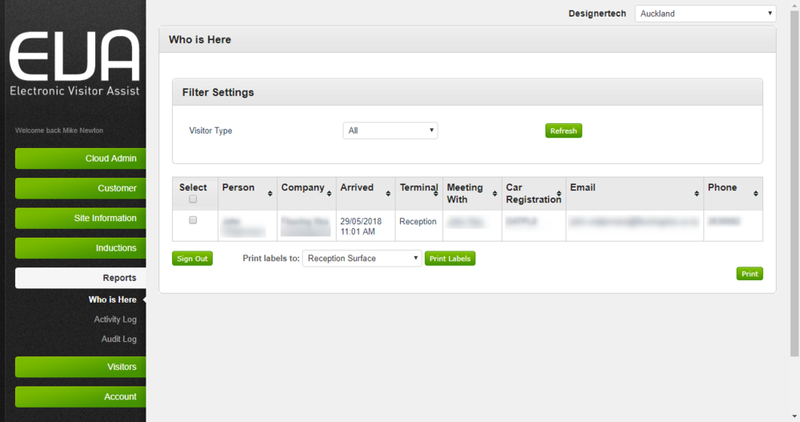 EVA Visitor Management System allows you to view visitors that are onsite at any given time. Step 1: In your EVA admin console, go to 'Reports > WhoIsHere'. View all visitors that are currently on site. Print replacement visitor labels for visitors that are onsite. Print the list of visitors currently onsite. 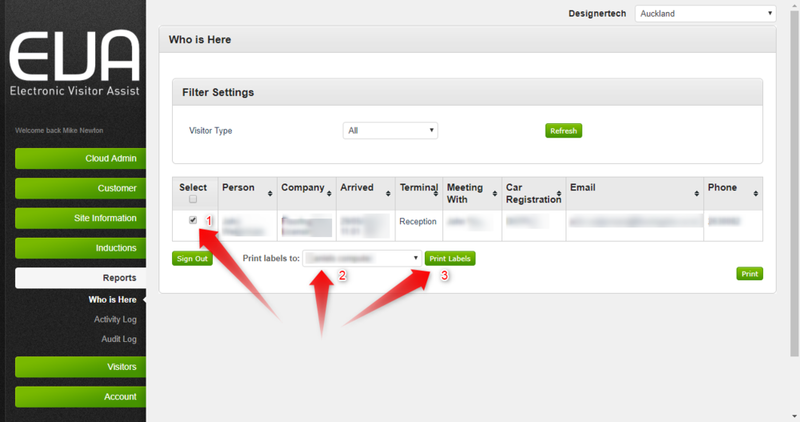 Step 1: Check the box next to the visitor you would like to print a label. Step 2: Select the EVA Kiosk where you want to print the label. Step 3: Click "Print Labels". Step 1: Click on the "Print" button in the bottom right. Step 2: A printable form will come up. 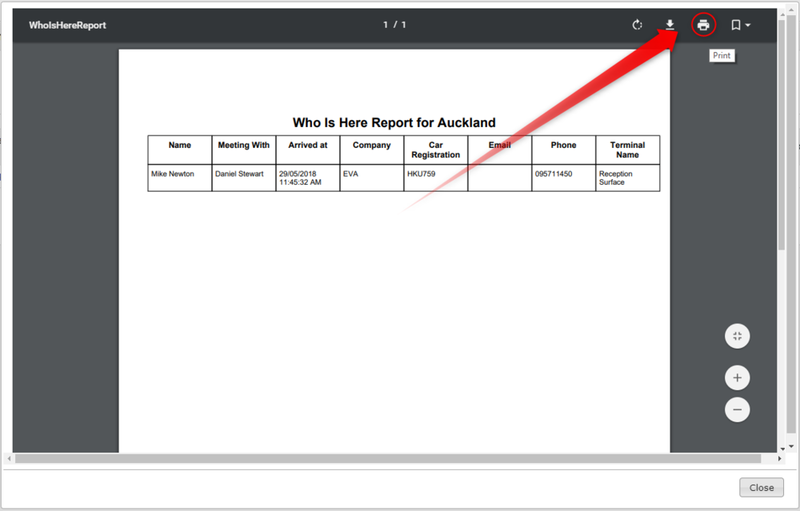 Click on the print icon to print your report. Step 3: Select your printer and click "Print".